Copyscape for long has been a tool used by not only many bloggers, but many small businesses and corporates. It was surprising how they managed to keep their price so low for such a long time with the vast amounts of server bandwidth searches would have generated. They have just announced a price change which will boost the company profits nut be bad news for many customers with a low budget. How to check if your blog content is copied ? If you didn’t know what copyscape does, they allow you to check if anybody has copied content off your site and know where similar content has been posted. You can track down people who have copied content from your site. With the copyscape paid version you get the ability to paste text directly into a text box for searching, instead of just submitting Web pages, and an API that you can use to automate and refine submissions to the service. per search for the first 200 words + 1c per additional 100 words or part thereof. Since launching Copyscape Premium over ten years ago, we’ve been devoted to providing you the best service at the lowest possible cost – a flat price of 5c per search. In recent years we’ve seen a major rise in the number of customers checking long articles, which require significantly more resources to process than shorter pieces of content. As a result, maintaining a flat price of 5c per search is no longer sustainable, and we don’t want to force one set of customers (with shorter content) to effectively subsidize another. The new variable pricing means that each user pays exactly for what they use – with lower starting costs for everyone. The new pricing will apply for all users beginning April 2, 2018. Copyscape Premium will work the same as before, with your account showing a cash balance rather than a number of search credits. As part of the transition, any search credits purchased prior to 2018 will be granted a price cap of 5c per search until they expire. · PlagiarismDetect.com(registration required) break the text down into word combinations instead of sentences. This allows checks to be more deep and profound. DOC Cop (registration required) creates reports displaying the correlation and matches between documents or a document and the Web. 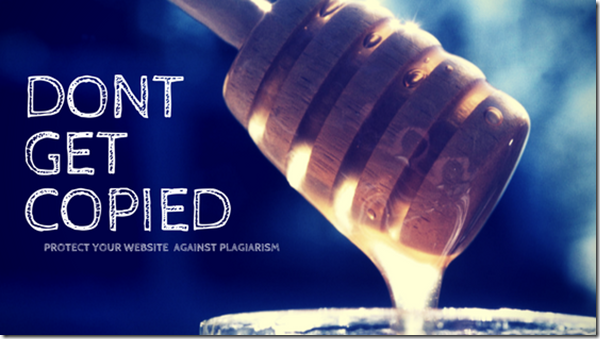 It gathers the evidence and provides the information necessary to judge whether plagiarism has occurred. Want to check your grammar and spelling of your articles or blog post – check out this tool. Hope this helps you in your website journey. Let us know if you have come across any good free or paid tools in this category. The subject of “who is the top Australian web host” is something that often comes up at various webmaster forums, especially among bloggers and webmasters. I was surprised to come across some names in the local web hosting and web development field in Australia that I hadn’t heard about before. I asked some of my blogger friends who they had used among the different local web-hosting. I also asked them about US based webhosts for their blogs, and also who they’d had good customer support and service from, website loading speed etc. to update my personal knowledge of web hosting as well as help me add to this post. It was definitely a bag of surprises. As with human nature, people tend to remember bad things, but I am exactly the opposite and I tend to remember the good things. So there were many comments on who were the worst host and peoples experiences with them. Surprisingly, they were some difference of opinions good and bad on some of the same US based webhosts most things. Most of the popular us webhosting’s names were discussed like Bluehost, WP engine Hostgator and In motion. I got to know of two new aussie hosting providers Bullet proof and Quadra which I didn’t know of before. I would suggest that you do your own research before choosing a web-host, but hopefully this information and listing below will help you in some way if you are looking to get a local webhost. These providers have different pricing plans which can cover a wide range of budgets and needs for your hosting. I might have missed some that are good as well, but these were the Aussie ones listed above that we discussed and talked about in our chat. Smarty Host and Crazy domains are not on this list as I have not used their hosting but only bought .au domains from them. 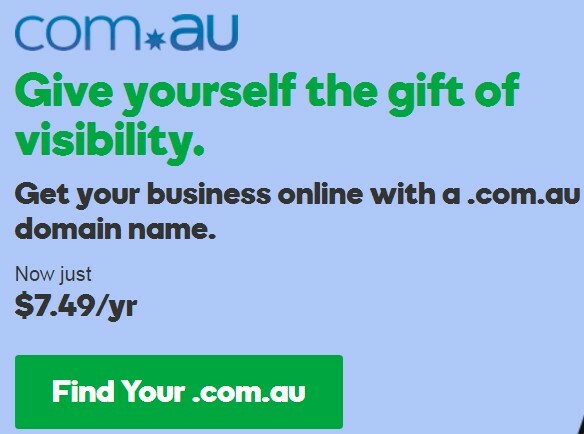 Some of them have a humongous transfer fee ( as i have found out) if you want to move your domains elsewhere, so please make it a point to check that before you buy domains from an Aussie domain provider. Some of the popular local aussie forums like Whirlpool, DNTrade and Web Hosting Talk can give you a good idea of good local hosts, though most locals tend to bag the US service providers just because they are not Australian. (And that’s fair enough because they are un-Australian). I have used a few of these local providers and they are good and prices for some of them have also come down in the last few years, but I mainly use US based website- hosting for my blogs, due to the price factor. I use US web hosts because they do the job and are reliable for blogs with a monthly traffic of fewer than 100,000 hits to your blog. If you get more traffic on your blog, you should be earning well enough to sign up for a premium optimised or dedicated hosting company. Below I am going to give some of the US based hosting that I prefer for my blogs and niche website, whihc will also work well for some small biz beginner websites. Here is the list. Bluehost is a web hosting company owned by Endurance International Group. It is one of the 20 largest web hosts, collectively hosting well over 2 million domains with its sister companies, HostMonster, FastDomain and iPage. They offer many attractive features and very reasonable pricing. Before you choose a web host, however, you should carefully consider the company and whether it fits with your own plans. Bluehost offers $200 in free offers when you sign up. This includes free advertising credits for Google and Facebook. By using these free advertising credits, you can start advertising with the respective websites and get traffic instantly. The regular pricing for Bluehost shared hosting is $7.99 per month. The company, however, runs frequent specials. Right now, for example, you can get hosting for as low as $3.95 per month when you sign up through partnering sites such as start-a-website.info! 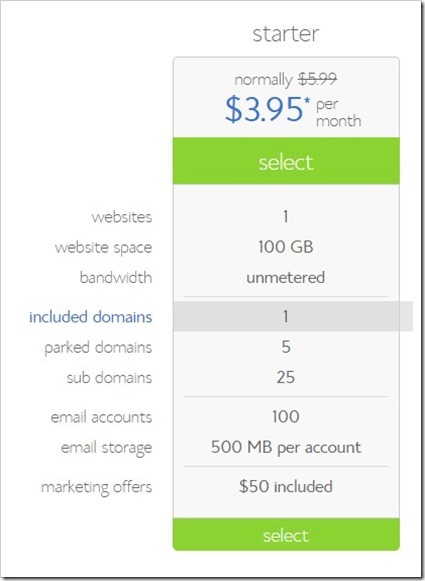 The regular pricing for Hostgator shared hosting is $7.99 per month. The company however runs discounts now and then. Currently, you can get hosting for as low as $3.95 per month when you sign up through partnering sites such as start-a-website.info! 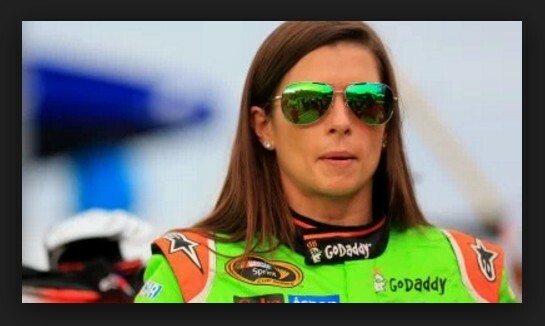 GoDaddy Inc. is an American publicly traded Internet domain registrar and web hosting company. GoDaddy is best known as a domain registrar – and, to be certain, it is one of the largest in the world – but they also offer a wide range of other web services, including hosting. Godaddy hosts 7 of my sites through its Linux hosting offering and works perfectly all of the time. They have ridiculously cheap and reliable service. GoDaddy’s hosting is scalable to your needs and boasts a 99.9% uptime. They offer many attractive features and very reasonable pricing. GoDaddy hosting comes in three sizes: Economy, Deluxe, and Ultimate. 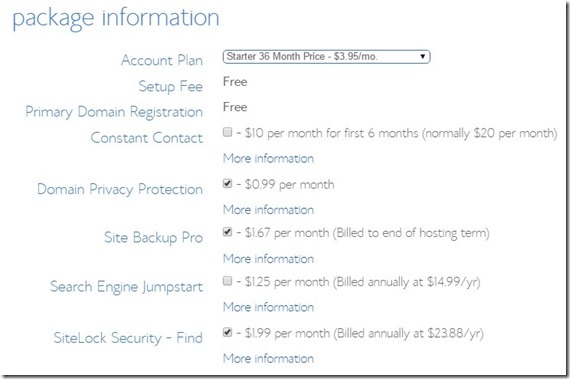 The regular pricing for Godaddy shared hosting(economy) is $10.99 per month. The company, however, runs frequent specials. Right now, for example, you can get hosting for as low as $5.49 per month when you sign up through partnering sites such as start-a-website.info! The major benefit to hosting through GoDaddy is that you only have to deal with one company – for your domains, hosting and other related website services like selling domains , domain auctions and SEO. I still recommend Bluehost.com and Hostmonster as my favourite US hosting providers. Support is a very important factor when choosing a website-hosting company, because when trouble strikes you need good service, otherwise it can be very frustrating and you could end up losing traffic and money to your blog if things are not fixed quickly. Before you make your choice , do check up on – If 24/7 support is available, you can call up and speak to a person if needed. Check also if upgrade to optimised hosting is available, price for extra bandwidth or storage space, if they provide free or paid backups, do they sell SSL certificates. 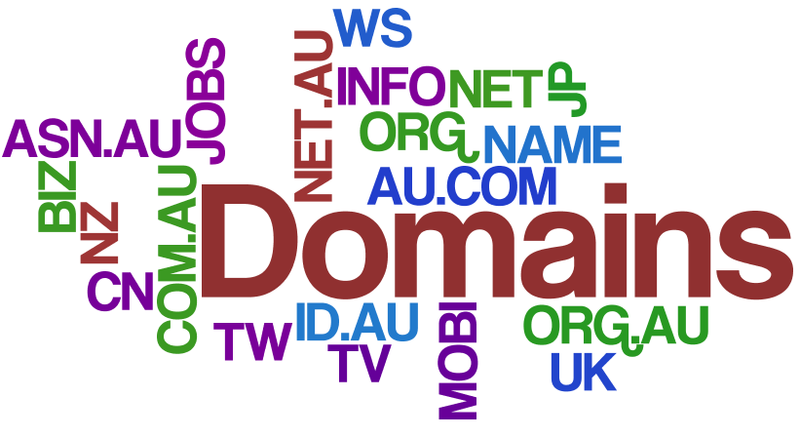 To what extent do you need to put efforts in selecting your domain name? 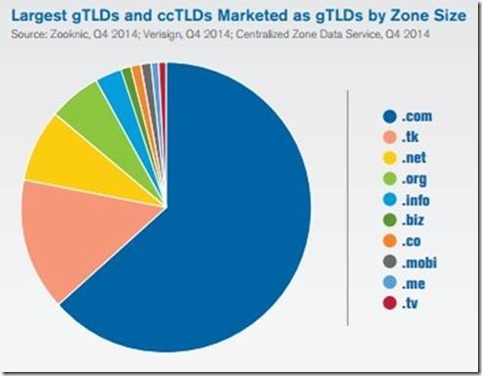 Is domain name vital to the growth of your site? The answer is yes to all of these. On the other hand, many present day experts argue that if you have a quality website and business, people would automatically visit your site. On the contrary, another group of online experts is of the opinion that domain name is the key element of your website. It can either make you prosperous or can break you. Hence, you emphasise a domain name that would fit your business as well as easy to promote. However, you should also comprehend the importance of a domain name in your online business. The domain name for your website is important because it casts an indelible first impression on the visitors. Quite interestingly, the URL of your site is the first thing that your visitors would see. Also, a good domain name can go a long way in making a positive impression. 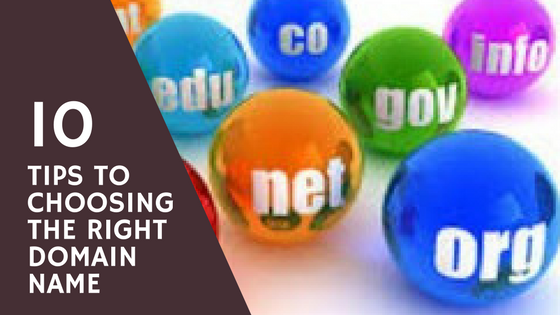 Here is the list of tips that would help you to pick the right domain name for your site. It is interesting to note that if the name of your domain is longer, then there are high probabilities that the customers would type it wrong. So, you should concentrate on selecting a domain name that is simple. You should be aware of the fact that keywords can make a huge difference in the online world. It can help your website improve its rankings. You should use keywords that best describe your business or the services that you offer. For instance, if you are a car repairing business, you should register as carrepairingservices.com. Your customers would look forward to a domain name that is easy to type. 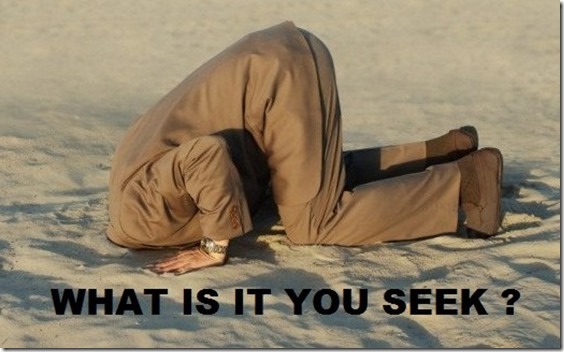 If you choose a domain name that is involved in nature, they will avoid the site. 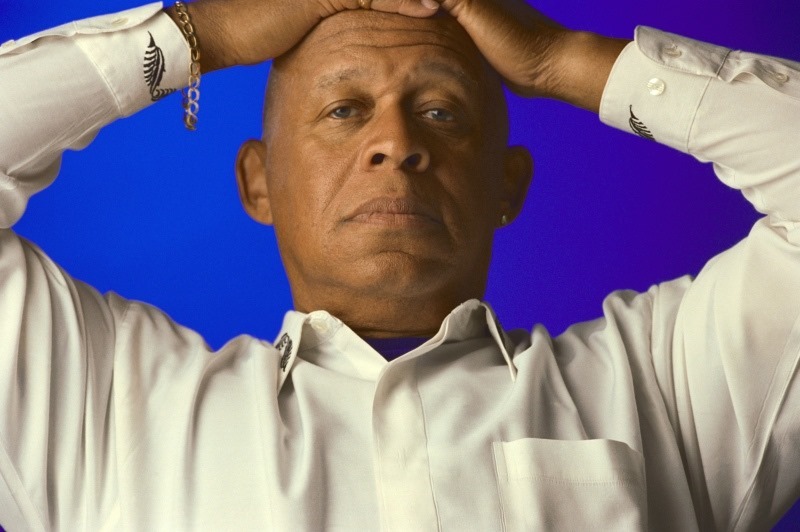 Refrain from selecting domain names that comprise words with multiple spellings. It is important to note that numerical characters and special characters are most often misunderstood by people who can be your prospective customers. However, if you think that you need these in your domain, you should always register the various variations. As per many online experts, by adding words of this type, you would attract a larger number of customers. It also improves your website’s visibility in the online world. If your business is local, then you should try to include the name of the city or the state in your domain name. It would make it easy for the local customers to remember and find your services. For instance, Denvercarrepairingservices.com can be a good domain name. While selecting the domain name for your organization, you have to make sure that it is not trademarked or copyrighted. Also, you should not use a domain name that is registered with the other company. It could land you in huge legal trouble. Hence, it is always better to invest a little time on the selecting of a domain name. Select a catchy domain so that the visitors would remember it for a long time. Be unique and creative in your approach. Extensions can have varied meanings in the world of online business. Hence, you should select a domain name that is best suited for your business. The .com domain name is an all-time favorite among many individuals. If you are looking forward to improving your site’s ranking, a domain name is important. It affects the Search Engine Optimization Process (SEO) considerably. Lastly, a good and unique name also changes the brand that you are promoting. When I actually started my first blog, I had already learnt html by myself and created a website, so i knew a bit about it all. However I was so wrong, I still had so much to learn. Today I am writing this tutorial for you as a total beginner friendly guide to starting a website. Fast forward today and you don’t really need any particular skills to make a blog, that is if you choose the right software or services. There are a couple of things which you choose, which can make your blog building journey easy peasey. I will list them below. This is one of the most easy ways to build a blog. 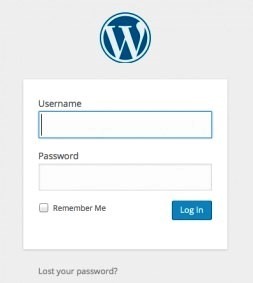 You click one button and the installation of your wordpress blog gets done in the background and you get your Logon url to login to the admin area and do any further changes you need. The 1 click install differs from provider to provider, but is pretty straight forward and easy with godaddy or bluehost which is what I recommend. With both of them, once you click on the install wordpress script, it will ask you a few questions like preferred blog name, description, your preferred admin name, password and then you get to click the install button and it does it all. Remember to note down your password and admin login name, you will need this later. 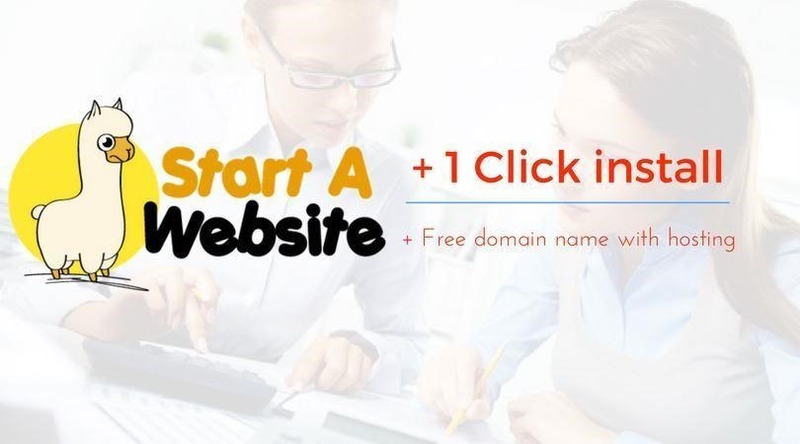 This is something good for beginners not only because it’s free, but also if you buy/get a domain name with the same provider then you don’t need to worry about pointing domain names to hosting and name servers etc. When you get the hosting and free domain offer, you can do the whole blog install process in one seamless process in 10 to 15 minutes. If you go the other route of buying domain from one provider and hosting from other, then you might need to adjust the name servers and point it to your hosting server, which takes a little bit of fiddling around . Now there are other things like server speed, uptime and compatibility with different kind of platforms, but rest assured the ones I recommend are tried and tested by myself. I recommend shared plans like the $1 Godaddy hosting plan and the $3.95 a month bluehost hosting plan, because they are cheap plans suitable for beginners. The speeds of these servers will not compare to premium hosting plans which cost anywhere between $22 to $199 a month, but will do OK for fresh starter blogs. If you think you might start another website, photo gallery or forums down the road then I would suggest you getting a plan that is between the range of $5.95 to $10.95 a month, which will allow you to host multiple domain names and websites or forums on the same hosting purchased – without any additional fees. This hosting providers have a large range of scripts like Wikipedia styled sites, email lists software, photo gallery script software and many more that you can auto install with 1 click install. The first essential task if your sitting on the fence is to get started now. Good luck! 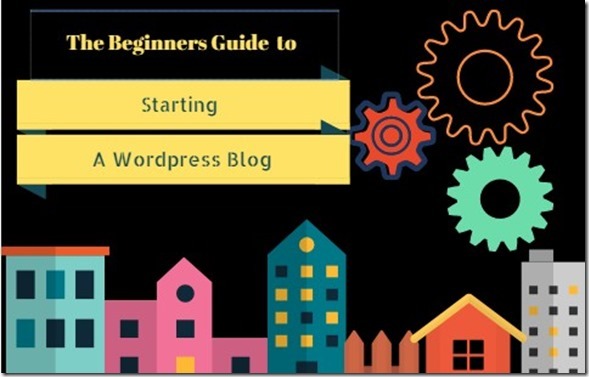 I have written this 2000 + word guide specially for you and new bloggers looking to start a blog or a business website and I really hope this step by step tutorial helps you get started. The first thing that goes through a person’s mind when they are looking to start a website or blog is the most important questions of price or cost of set up, how easy it is to set it up a blog , and what’s involved in this process, so I have put together some questions below that you would most likely be searching Google for – and also the answers are provided below. There are many easy website building software’s like Drupal , Joomla and others, but wordpress by far is the most easy software to build a website or blog today and is also the most popular website software on the internet used by many top million dollar blogsters. If you want to start a blog quickly, it can be done in just three steps, once you have everything ready to install and set up your wordpress blog. It can be done by picking a domain name and installing a blog with 1 click install , then writing your first post and just clicking publish to go live on the internet. The part of (installing a blog) can take the most time but can be done in 10 minutes or less if you have used computers before ( time may vary according to your knowledge level on computers). So What is it (wordpress) ? – WordPress is a CMS ( content management system) which you can use to build a blog and/or a website. This software itself is so flexible that you can make your website look like a professional website or then just like a blog in a few clicks. I recommend that you choose this to build your blog with wordpress and you can rest easy in the future. Below I will also refer wordpress to WP in its popular short form. For the sake of convenience, I added links to different sections of this article, so you can easily skip ahead to the section you want..
Who will this blog-website making tutorial benefit? So let’s get started – Shall we? NOTE: This post contains some affiliate links which means I earn a small commission at no extra cost to you if you buy any services after clicking through from my blog. Please remember that I never promote any products unless I’ve used them myself. 1st question – What do you need to build a blog? 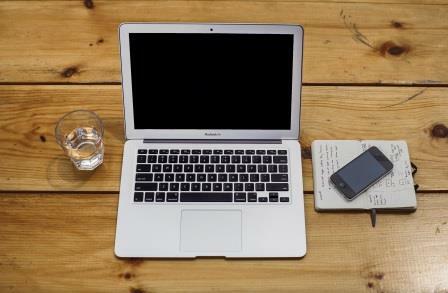 I will keep this simple all you need to start a blog is a domain name and a hosting acount. Domain name is the www.mywebsite.com and hosting is space where your website would stay on the internet. I get my domain name normally from godaddy and hosting from bluehost. So, this is all you need to get your blog started and running on the internet and I will show you a step by step procedure on how to get this all set up below. 2nd Question – How much does it cost to make a website? I will be frank ( not Jeff -thats me ) with you and tell you that most hosting companies will quote you the monthly rate ( Anywhere from $3 to $6 a month) , but not all will give you the option of paying monthly and so you will have to pay it in lump sum yearly or 24/36 months in advance. So say, I am recommending bluehost at the current discounted price of $3.95 ($5.99 normally) – the 36 month price for it would be $142.20. You can Process you order via this link and check what price you will get. These prices are typically for starter plans, but you can also get pro and plus plans with them which offer a few more features and benefits. You get a domain name free with this 24/36 month plan, so you save another $15 to 20 dollars on that as well when you purchase this plan. I would suggest getting a 36 month plan as you block that lower price for that period. Prices never go down ,they only rise!! If you took only a 12 month term, the price could jump back to $7.49 a month which is standard rate for 12 months for renewing your plan after twelve months and so you lose the savings you get for 36months and will end up paying more for a shorter term plan. So to put it simply your cost for setting up and running a blog for one year is either $3.95 a month or then $142.20 yearly approximately. I suggest you shell out an extra $69 dollars to sign up with elegant wordpress themes to get a good look for your blog. I tell you why – Say If you go shopping would you like to enter a good looking store or a shabby looking store, the same thing applies for your blog , if you don’t have a good looking design for your blog , then your wasting its potential , so spend that extra bucks and get it looking good . Elegant themes are one of the most affordable premium theme providers on the internet and you can get 80+ website themes for just $69. Browse and buy their designs over here. If you add this cost$69 to your hosting of $142.20 then you are looking at @ $211 approx. for a whole year- which is about $17 a month roughly for a good looking blog on a nice platform. Yes there are free blogging platforms like Blogger.com , Tumblr.com and wordpress.com but If you are serious about blogging and don’t want limitations on your blog then the above recommended self hosted option over here is the best one . 3rd Question – How easy or hard it is to create a blog? Hard? – If you can use a new smartphone or then type in a word document, then it should be very easy for you to set up a blog , yes it’s that easy. 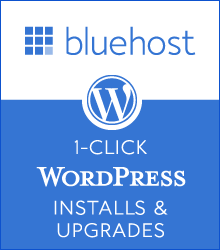 Most new hosting companies like bluehost have a new 1 click install system where you can get your blog website installed and ready in just a couple of clicks. To make this part of the process even easier I got a picture guide below on how to register with bluehost, claim free domain and start your blog in easy picture tutorial. I know I have given the breakup of pricing for bluehost hosting earlier for creating a blog, so I am going to give you two other options which are also good hosting companies. HostGator was founded in 2002 by Brent Oxley, who was then a student at Florida Atlantic University. HostGator is a Houston-based provider of shared, reseller, virtual private server, and dedicated web hosting with an additional presence in Austin, Texas. I will now take you through a guide with pictures on how to register for you hosting package and get your free domain with blue host. The process will be a bit similar if you choose to go with other hosting providers but the webpages may look a bit different from this below. Do not forget to read more beginner tips like choosing a domain name right below. If you go with bluehost, which we recommend, then 1 and 2 is already taken care of in one shot and if you also take our recommendation of starting your blog on wordpress, then no3, is already taken care of as well, as the steps below will show you how to install the wordpress-blog with bluehost. The below are screenshots of the process of registration with bluehost hosting , which also enables you to get a Free domain name with their hosting all in one transaction. These pictures below will take you through the process of purchasing your hosting to setting up your blog with domain name. IF there is anything that is not clear in this process or anything which you dont understand , do leave a comment below or get in touch with me here. Choose the plan you need. 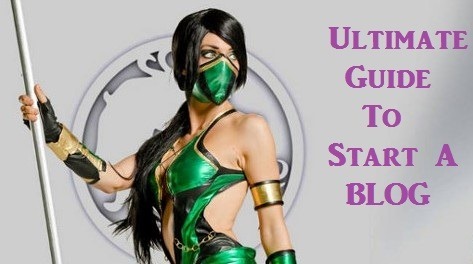 The lower priced $3.95 Starter plan should be sufficient if your starting a new blog. Click on select in the pic. Choose or search for your free domain name by typing in the domain name you want in the column on the website Or then transfer a domain name that you already have in this screen. In this next screen , you will get asked for your name etc and billing details. Choose the plan for a free domain name and enter your details. I think only domain privacy is worth buying as an extra , but you can choose whatever optional features you want as in pic below. You will get the login details in your email for your install when its finished installing. You can change the look by installing a good looking WP theme you have purchased This can be done by clicking on the appearance tab and uploading a theme to the blog or then browsing for a free theme and activating it. The next steps given below are steps which will help you to make your blog better and more professional looking and also improve popularity of your blog. How to make money with your blog etc are also detailed below. A domain name – Formally known as the Uniform Resource Locator or URL, it is often considered to be the address of a certain Web site. The top level domain name is .com and that should always be what you are aiming for. They are other second level domains like .net .org .com.au and even newer one like .club a & .news. 5. Was the domain previously used – Archive.org – The Internet Archive Wayback machine maintains snapshots of web pages as they change over time. You can use this service to find the kind of content that was earlier hosted on the domain if it was previously used by somebody. It is surprising that not many people know that you get instant designs pre made for a blog- if you wish to change your blog design. Say you have set up your blog and its ready, all you need to do to get a professional looking design for your blog is buy one(download) and then go to appearance under your blog admin tab and upload the design in two clicks ( 2 mins) and then click activate and your new design is installed . If you building a recipe blog you can just activate a premade design for a recipe blog, if you starting a travel blog just upload a design suitable to the fashion niche and so on.. There are free themes available under the appearance tab in your blog admin that you can choose an activate , but I recommend getting a paid one for peace of mind with security as they are always regularly updated and won’t break with most word press updates as some of the free ones tend to do . Pre made blog designs or wordpress themes as they are called can be got from providers for $59 – $150 for one theme to $69 for 80 + themes, so there is a big difference in pricing with different WP theme providers. I always suggest elegant themes ($69 for 80+ premium themes) as they are good and affordable and recommend Solostream themes if you are planning to make money with Google AdSense, in the future with your blog as they have good options for adsense ads for your blog and they also allow the flexibility of removing the sidebar with a click in you want full width pages or posts in your blog. This is one of the easiest ways to make money with your blog with help from “Google”. 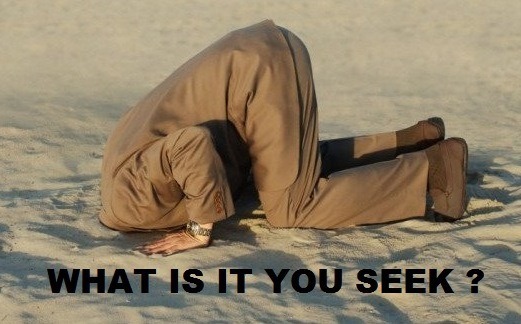 It’s called Google AdSense. All you need to do is sign up with Google AdSense and get approved by providing your blog url and then you can start earning money by putting those Google ads provided on your blog and earning money every time someone clicks on those ads. I suggest applying for this once your blog is set up properly and some traffic starts to trickle in. People or bloggers are earning from as low as $1 a day to $150 or more a day from this program, so your earnings from AdSense will depend on how popular your blog is, which will automatically result in traffic and visitors making you money. For eg , if you just signed up with bluehost hosting above , you are also eligible to start promoting them via their hosting affiliate program and you can earn money every time someone signs up with bluehost hosting from your blog. Making money with affiliate programs works well when you are promoting products that are relevant to your niche, say you are creating a recipe blog, you could promote a recipe book in your blog pages or posts. You could also sign up with big affiliates that provide multiple products to promote under their banner, like Amazon.com and CJ.COM. Affiliate sales made from your blog can generate anywhere from $0.70 cent a sale to $100 or more for a sale depending on which product you are promoting and are paid either by postal cheque or online transfer into your PayPal account. It is paid sometimes within a week/fortnight, and sometimes on a delayed basis depending on the affiliate vendor. This normally happens when your blog becomes popular and notice in your niche. If your blog has started to get a high traffic, you will start getting approached via your contact page for sponsored posts or advertisement posts. What this means is people will make you an offer of money to post an article on your blog or then request you to write a post promoting their product and pay you for this. Again you can get paid anywhere from $10 to 100 for a post on your blog. If you are creating a blog on recipes, maybe you can create a recipe book. If you are creating a blog on travel, maybe you can create a mini travel guide for a place you visited or if you have a fitness goal blog – You can create a book on how you reached you goal and help others achieve the same. 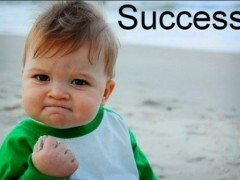 If you gain success with this method you can earn a lot of money. They are various platforms where you can sell your book like Clickbank.com, Amazon and the Apple platform, Google play store. I suggest you check out the Clickbank university if you’re planning on selling a products (eBook) from your blog , as this online course can give you great tips if you are planning to build your first product and also train you in internet marketing which is the basics of earning money from your blog . This is what makes or breaks a blog, so to speak. The traffic you get to your blog is an indication of your success with blogging. If you get at least a minimum 200 unique visits a day, then you should be able to monetize some of your traffic and make money and if you are getting 500 or more unique visits a day and not making money with your blog then something is wrong somewhere. But don’t worries these figures still say that your blog is popular if you are happy with that. Traffic or people will visit your blog only when there is content that is interesting and unique to read on the topic they are interested in. People will also come to your blog in large numbers if you are ranking in top ten in Google search OR Bing OR Yahoo and this can be achieved by SEO and Writing interesting content. How to get this traffic to blog – Basic SEO is easy with wordpress, you just need to install a plugin – from the add plugin in your blog admin area and install the SEO plugin in two clicks. I recommend ALL in one SEO and Yoast SEO plugin (though I think yoast is a bit bloated plugin) (they both are free). Just follow tutorial on their respective blogs or Google search to get information on how to set them up. Other popular methods of getting traffic nowadays is creating viral bait titles for your blog posts or website contents and distributing it in your Facebook page, account or on Twitter, Pinterest, Google plus, You tube Videos etc. with interesting photos to match. If this is done well you can get good regular traffic from these places to your blog (as they get shared more and more). Putting your website link in highly trafficked forums which you have joined may also a be a good idea to bring in more traffic. Optimize your signature with right words to entice people to click it. Now that you have set up your blog , know ways to make money from it and also how to get traffic , you don’t really need anything else but to just get started and working on your blog . Good luck and DO IT TODAY!